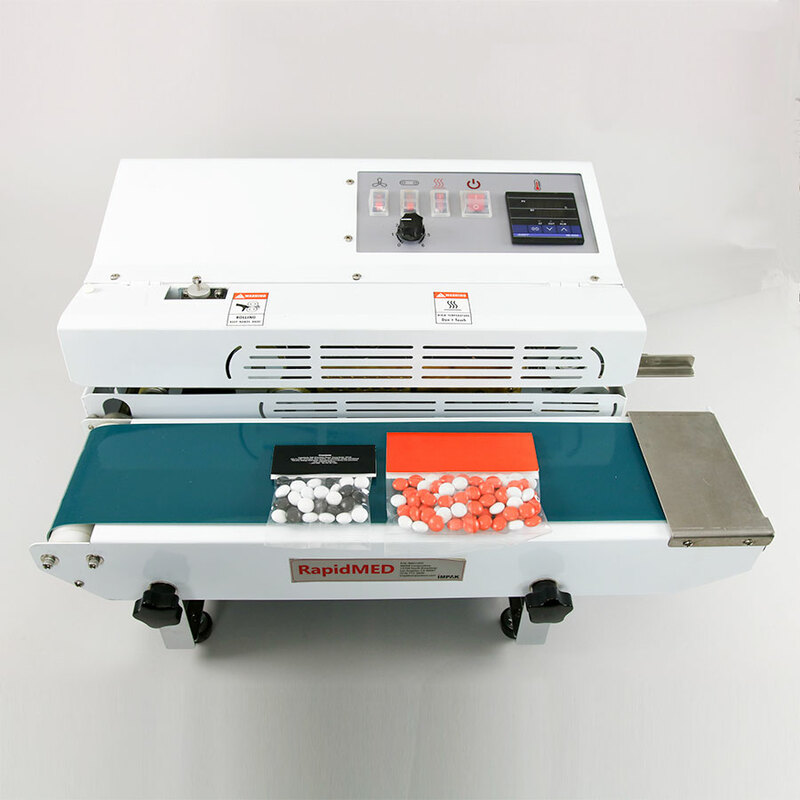 IMPAK's Entry Band Sealer is a continuous band sealer, with a right to left configuration, suitable for making and sealing various types of plastic film bags. 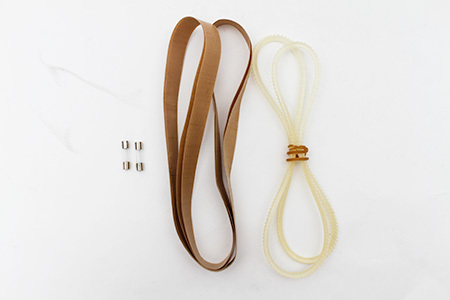 It is capable of sealing all of our vacuum bags and Mylar bags, as well as polyethylene (PE) or polypropylene (PP) bags. 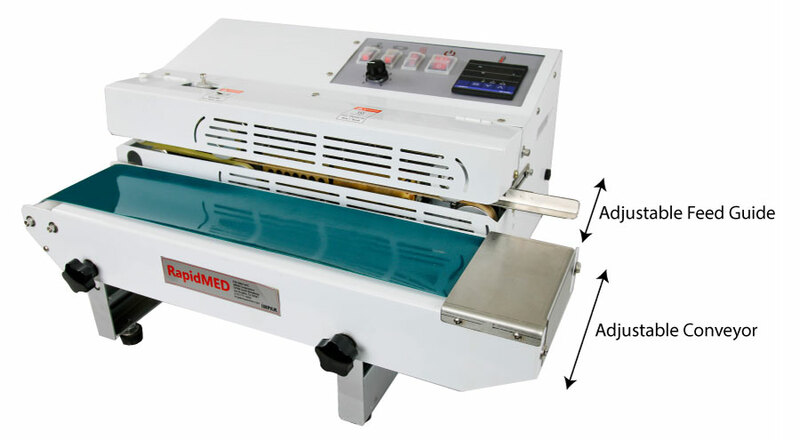 This tabletop band sealer has easily adjustable settings including seal temperature and conveyor belt speed. Its powder-coated white finish and silicone covered buttons make it attractive, durable and easy to clean. It is used in applications from food to electronics. The feed guide adjusts back and forth to allow for a header above the seal of 0.0" to 1.75". The conveyor belt also adjusts forward and back to accomodate large and small bags. This economical tabletop band sealer stands out from other sealers for its easy operation, compact size, low energy consumption and easy maintenance/consumables replacement. 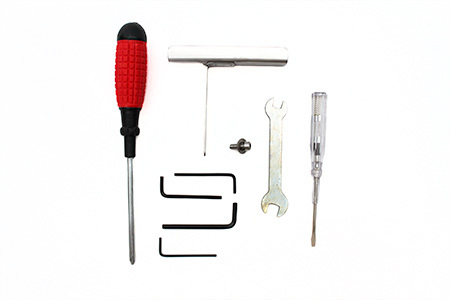 See our spare parts kit for consumables. The most economical solution for sealing header cards, up to 2.0"
Adjust the feed guide 1 to 2 inches to create header above seal: 0.0” to 1.75” headers (works with 2” header cards). 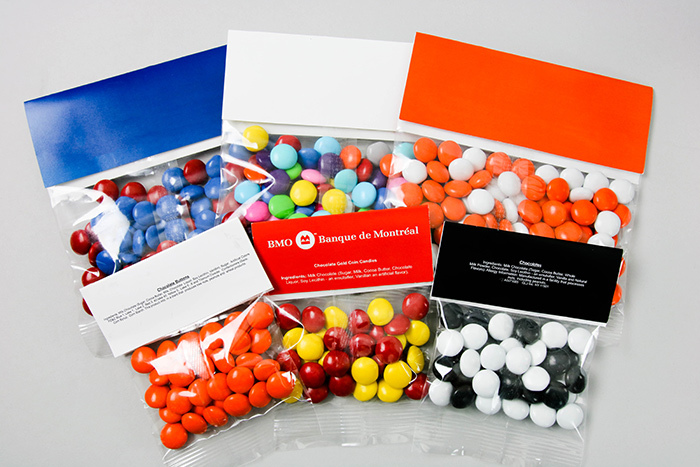 Adjust the conveyor forward and back for use with small or large bags. 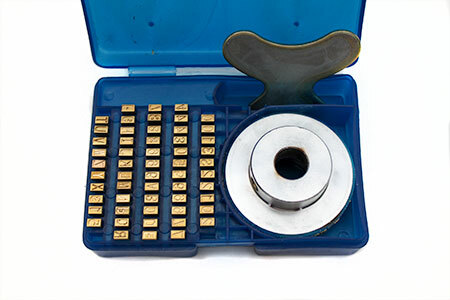 Sealing Width: 6 - 12mm; min: 1/8" - max: 5/8"
Parts Included: 2mm socket head wrench, 3mm socket head wrench, screw, nut, 4mm socket head wrench, cross screw driver, 1 feed inlet piece and 8x10 open spanner.